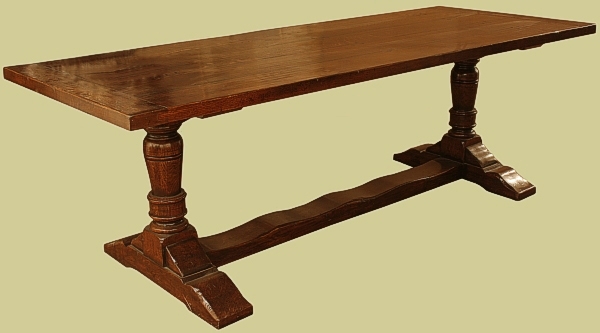 From our Berwick semi-bespoke reproduction oak furniture range, comprising a 230cm long pedestal dining table, with six period style oak side chairs and two armchairs, each with upholstered stuff-over seats and back panels. 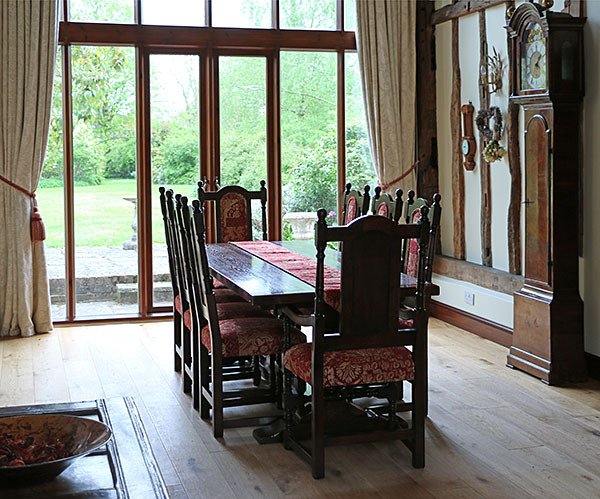 Pictured here in our clients converted oak barn, in Kent. This set was commissioned from one of our superb value dining table and chairs packages, where our clients added in the upholstered back panels, which is an option also available individually, as shown below.